You’re about to ask the biggest, most important question of your life. You’ve made the decision to spend your life with your favorite person. Maybe you’re planning a secret celebration with your future fiancée’s family & friends to celebrate the occasion. However, one very important aspect of your proposal that you may not have considered is hiring a professional photographer to capture your engagement. Our team would be thrilled to capture this very special moment for you and the love of your life! Having photos of your proposal allows you not only to enjoy those very first moments of being engaged but also to have something to show your closest friends, your grandparents or to share this special moment with your social network! We don`t miss a moment. When you’re swept away in the experience of getting down on one knee, your partner being in a whirlwind of surprise and excitement, we`ll document every second so you can relive this chapter of your lives again and again! Weddings happens all four season of the year. Neena & Jordan decided to made it official this past fall. 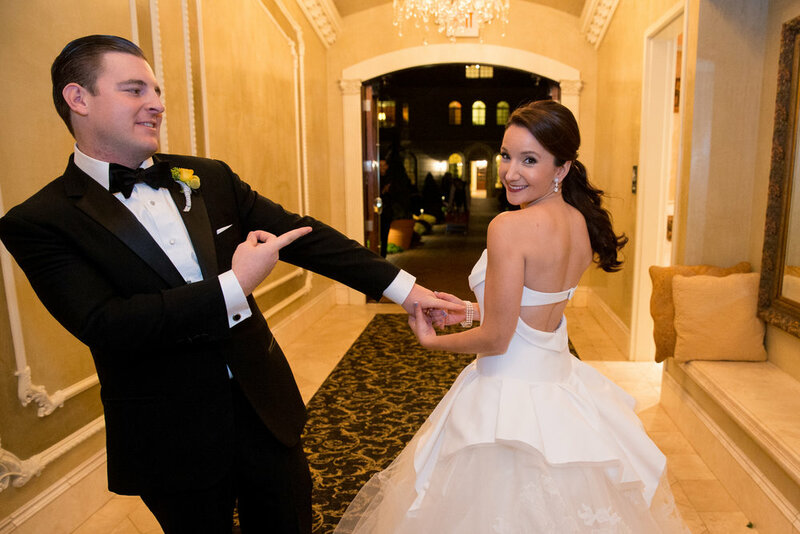 Both the bride and groom got ready for their big day at the West Princeton at Forrestal Village, in New Jersey. Neena looked flawless, with the help of Valerie Weiss, and the team working at Beyond Beauty. She wore a gorgeous dress designed by the one and only Vera Wang. Neena's bouquet was absolutely beautiful, thanks to Tracy Taylor Ward Design. The handsome groom wore a custom tux by Zohreh. Before their lovely wedding ceremony, the bride and groom met up for the first looks. Their wedding ceremony and reception took place at the iconic wedding destination, The Ashford Estate. After some beautiful Jewish traditions, the newlyweds headed to the reception, where they celebrated with all their friends and family. The reception was filled with spectacular flowers and music provided by Hank Lane Music which kept people dancing all night. We had a wonderful time joining them on their special day. A huge thank you to Daulton Van Kuren at Tracy Taylor Ward Design for making this day so perfect. We might be still in winter, but spring is close and what better time to dream of the perfect summer wedding with the perfect view? After the bride got ready at the Peacock Inn with her dearest by her side and the help of La Jolie Salon & Spa, Meredith & Alex enjoyed the excitement and thrill of the very first look. Designed with a classic vibe, Meredith & Alex celebrated their intimate ceremony at the Church of Saint Ann and made sure their seaside celebration at the Newport Yacht Club & Marina was as gorgeous as the view at the Manhattan Skyline. Hollywood Entertainment made sure of a great atmosphere on the boat and The Portable Garden filled the reception with beautiful flowers and details. Ny Boat Charter definitely offers a unique and inspiring alternative to catering hall, restaurant, and banquet hall style weddings and we had a blast capturing Meredith & Alex`s beautiful moments while dancing and dining as they gently cruised the New York Harbor in Lady Liberty’s Shadow with the backdrop of the sparkling New York Skyline. Beautifully captured by Kim and Caleb. Laura and Scott tied the knot this past September, we had a wonderful time joining them on their special day! Laura and Scott exchanged their beautiful vows, and said "I do" at St. John the Baptist Church . Before the lovely couple first locked eyes, they both got ready at the W Hotel Hoboken. Laura was absolutely glowing, with the help of Facez. Action Limo helped get the wonderful bridal party, including the bride and groom, to the ceremony, to begin their special day. Laura's stunning bouquet was handcrafted and delivered by JR Floral. After the couple made it official, they hopped in the Rolls Royce, and made their way to the Liberty House for the reception. But before they could meet up with their friends and family, they made a few stops. We had the pleasure of capturing the beautiful moments between this couple on the railroad, Cobble Stone Street, the 9/11 Memorial, and many more special scenes. They couldn't keep their eyes off each other, wherever they went. When the couple finally met up with their guests, everyone celebrated Laura and Scott for the rest of the night. We had a very good time capturing the love between these two on camera, along with Craig William Films. A special thank you to Majestic Moments Event Planning for putting this special day together, and having us be apart of it!